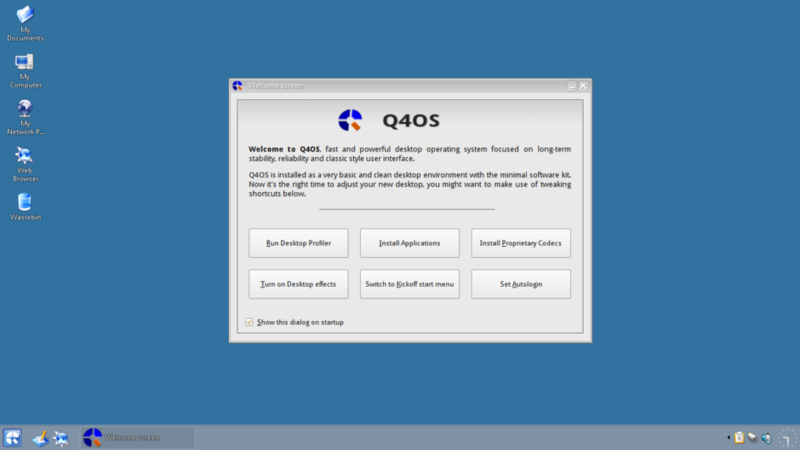 When you boot your Q4OS installation you are greeted by the Welcome Screen, it contains some useful options and configurations. If you would like it NOT to show when you start your machine just uncheck the box at the bottom left of the window and it will not show on your next boot. It will still be available through right clicking on the desktop, select run command, and type welcome-screen.exu in the dialog box. The first option is to run the desktop profiler, you should have already run this but if you chose to install only the “Q4os Pure” package set you might find you later want to install the full “Q4OS-Desktop” set to have the packages it contains available. 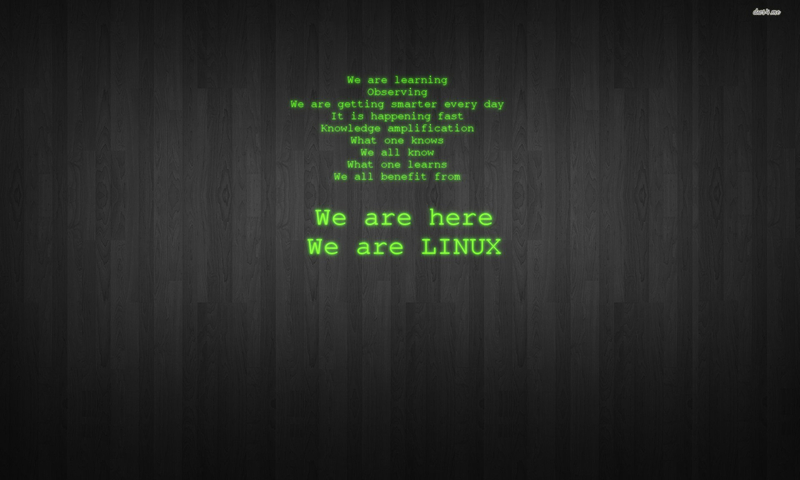 The third option will install Proprietary Codecs, these will allow the best experience of most modern codecs available. The fourth option will turn on desktop effects, this will give you more “bells and whistles”, just remember everything you turn on uses resources and if you are using a lower spec machine it may slow up a little. The fifth option allows you to switch the start menu to either KickOff, Bourbon or Classic type, and also allows you to have the menu sorted by Categories or the standard Q4OS menu structure. The Sixth and final option allows you to set auto-login, this will toggle on / off the autologin feature for the current user. Q4OS has many more configuration options and if you want to do something I haven’t yet made a guide for you could look in the Q4OS Forum, and if you still can’t find what you are looking for ask a question there, I’m sure somebody will soon answer your query.